UK Defence Secretary has welcomed Qatar’s intent to proceed with the purchase of Typhoon combat aircraft. According to a gov.uk press release, during the meeting on Sept. 17 between UK Defence Secretary Sir Michael Fallon and his Qatari counterpart, Khalid bin Mohammed al Attiyah, was signed a Letter of Intent concerning Qatar’s proposed purchase of 24 Typhoon fighter jets. The UK and Qatar share a close and longstanding Defence relationship to reinforce the military cooperation between the two nations, and the opportunity to further enhance the security of all partners in the Gulf Cooperation Council (GCC). - After a number of years of negotiations between our two countries, I am delighted to have been able to sign today with Qatar’s Defence Minister, this Statement of Intent on the purchase of 24 Typhoon aircraft by Qatar. 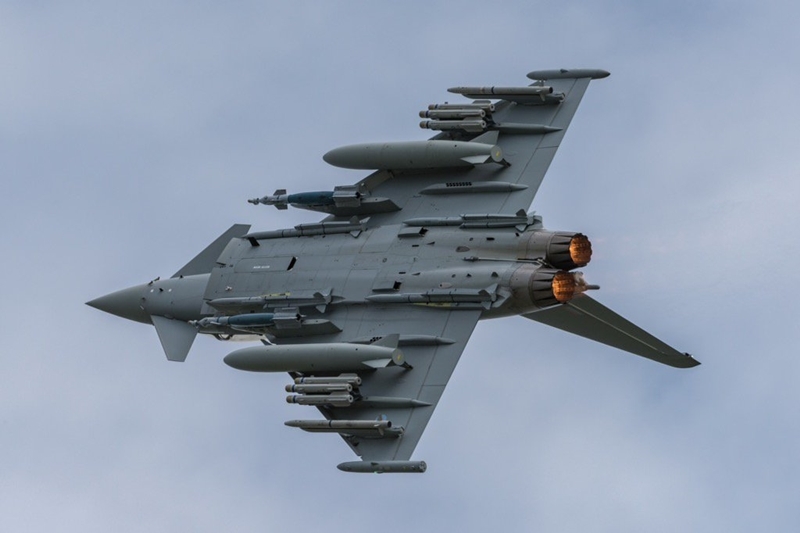 If the contract is finalized, Qatar will become the ninth nation to be equipped with the modern Eurofighter Typhoon and the British aerospace company BAE Systems could achieve a new success thanks to the production of the entire batch of aircraft. Last year Qatar completed a deal with France for 24 Dassault Rafale fighter jets and in June 2017 the Gulf country signed with United States for 36 Boeing F-15QA fighter aircraft.